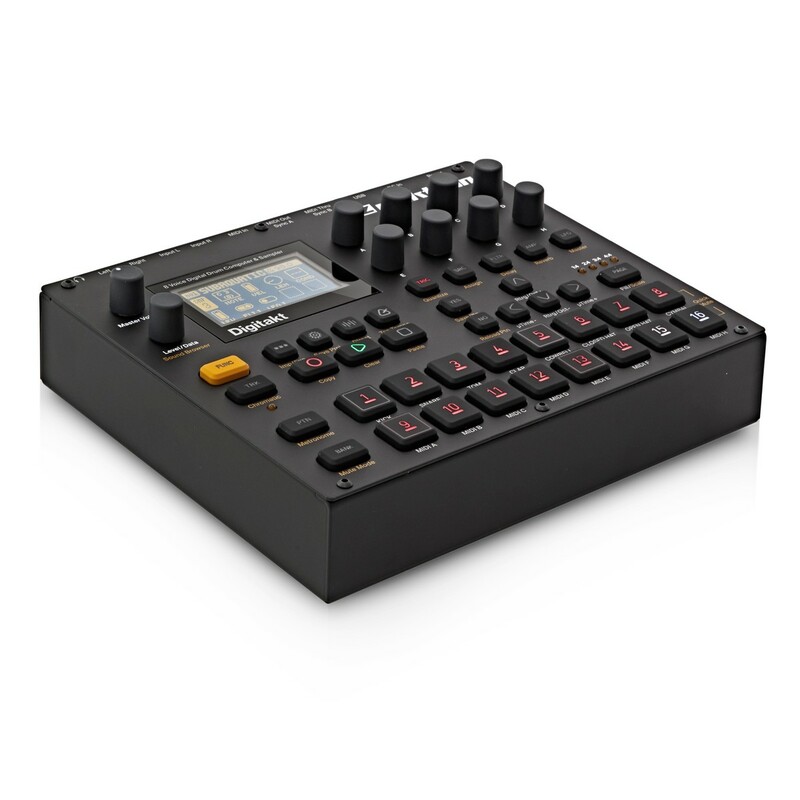 The Elektron Digitakt Drum Computer and Sampler is a highly portable eight-voice drum machine and sampler. The Elektron Digitakt is compact yet powerful, featuring an integrated 16-step sequencer and over a 1GB of on-board sample storage. The Elektron Digitakt is ideal for both studio and live applications, thanks to its portable size and versatile design. The high-resolution encoders and highly-durable backlit buttons are ideal for extensive use. The Digitakt Drum Machine also features a crisp OLED screen, providing information on your samples, tuning, tempo and more. It also features integrated Delay and Reverb send effects for adding flare to your rhythms and patterns. 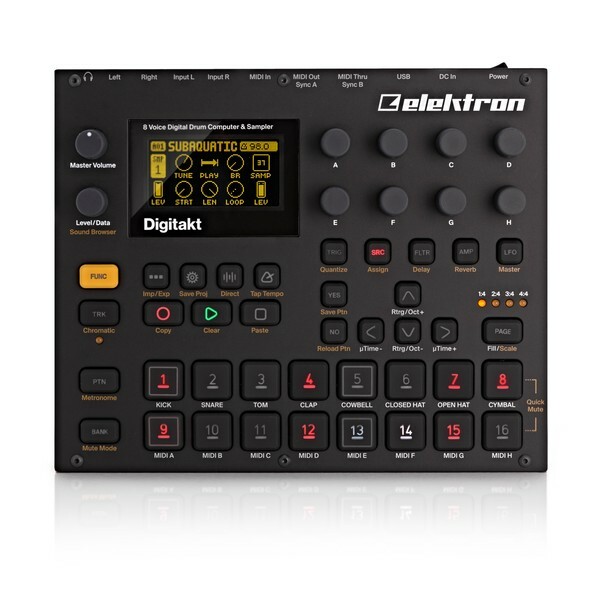 The Elektron Digitakt combines the best of the both worlds, offering a versatile digital drum machine and a 16-step sequencer for the ultimate portable music machine. The Digitakt Drum Machine is ideal for both live and studio applications, thanks to its compact design you can easily take your Digitakt anywhere you go. It’s performance-friendly features ensure you are ready to go at all times. The powerful digital sound engine produces exceptional audio fidelity, capturing the original sounds in immense detail for optimised audio performance. The Digtakt Drum Computer is sample-based, featuring a 64MB sample memory and on-board storage of over 1GB. 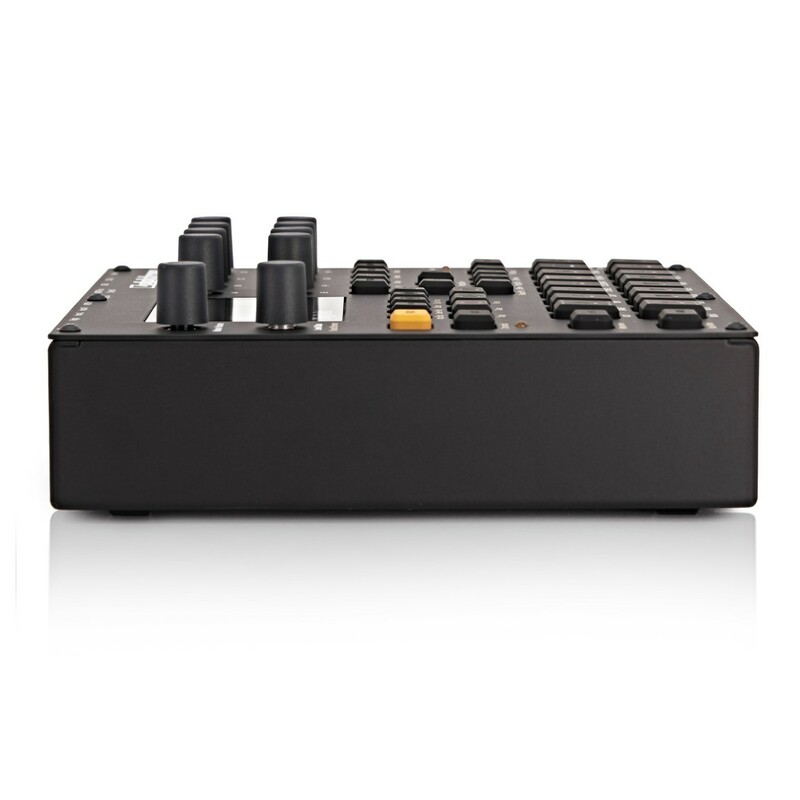 The Digitakt features a wide-range of parameters and controls including high-resolution encoders. The durable, high-end encoders provide you with the means to dial in effects, samples and change the way your samples react. 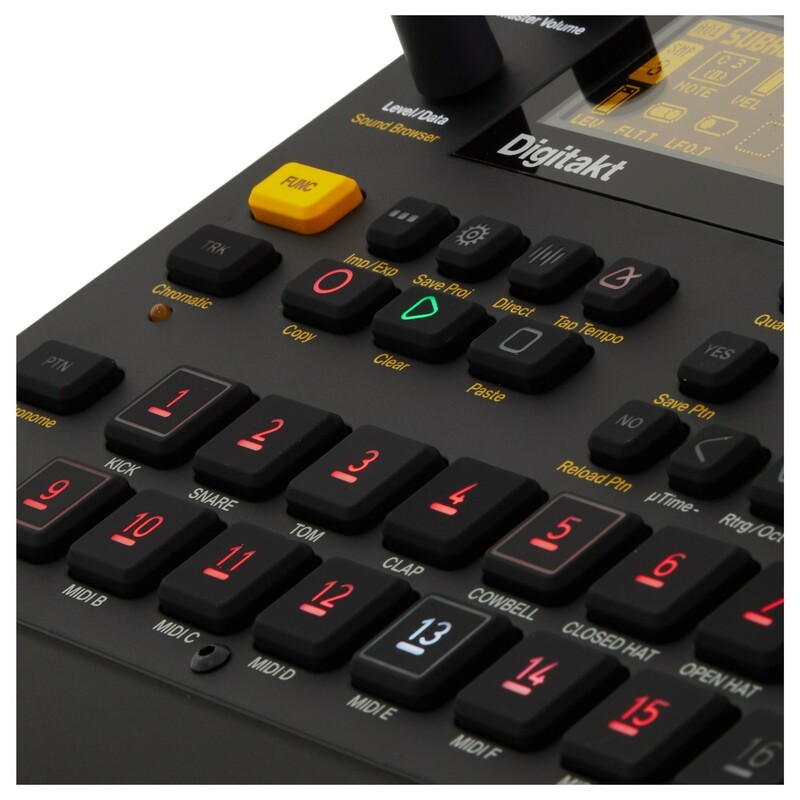 The highly durable back-lit buttons are designed for performers, rated for 50 million presses ensuring the Digitakt can withstand prolonged and extensive use. The 16-step sequencer can be used to create complex rhythms and patterns. The step sequencer features dedicated buttons for drum sounds which can be customised to your own requirements. 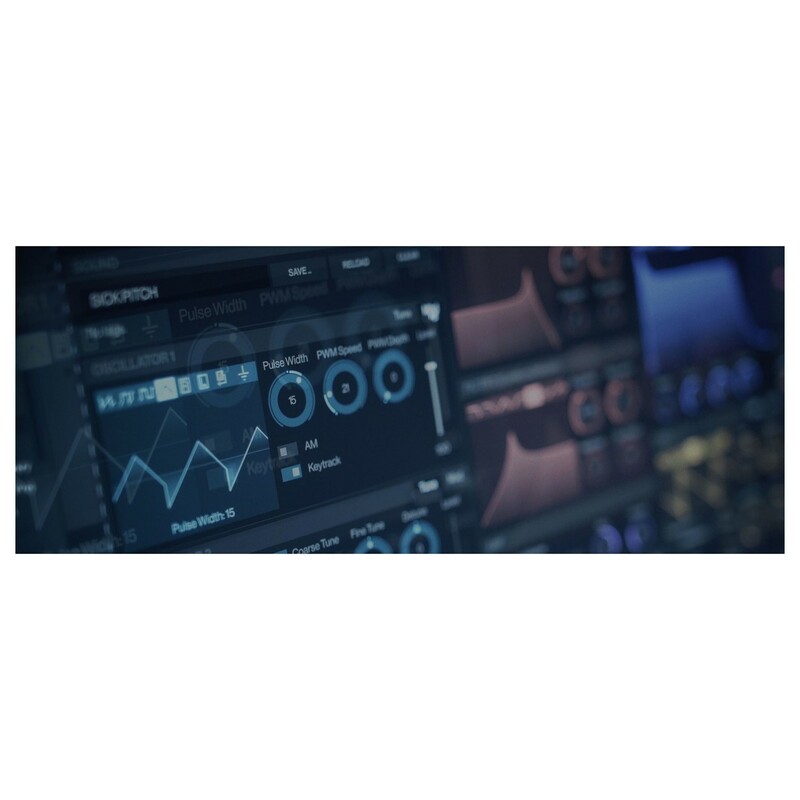 It also features 98 MIDI tracks for sequencing external instruments, making it ideal for expanding your soundset. 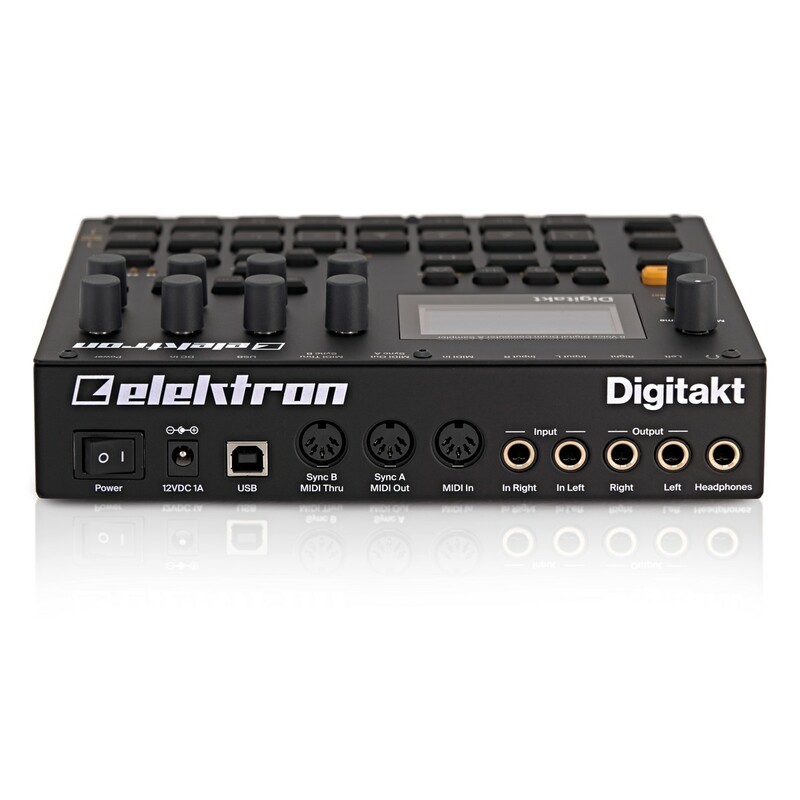 In addition to the onboard step-sequencer, the Digitakt Elektron features two built-in send effects with dedicated buttons for enabling them. Delay & Reverb buttons are included, allowing you to add extra flare and character to your sounds, allowing you to differentiate from the stock sounds to create atmospheric-style sound. The unit also features 1 multimode-filter per audio track as well as an assignable LFO per track. The 8 stereo audio tracks provide support for one-shot samples and sample chains making it ideal for live performances, as well as DJ use. Keeping track of your parameters, sounds and even the tempo is made easier than ever before thanks to the crisp OLED display that provides real-time information on most of your parameters and controls. 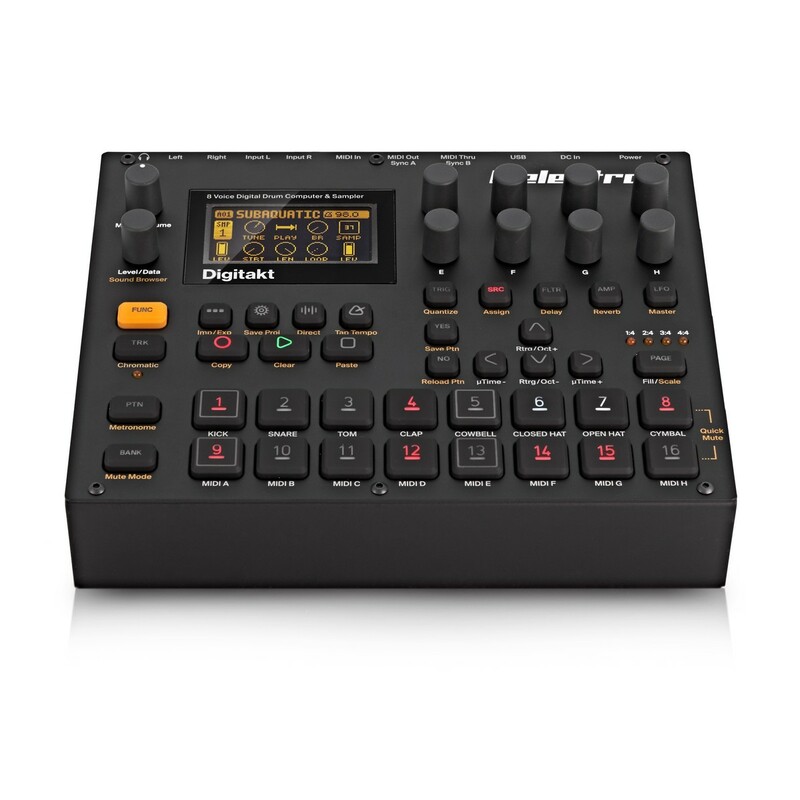 The Digitakt’s compact and robust design makes it ideal for the digital musician on the move. The portable size will easily fit in your backpack with ease, allowing you to transport your drum machine wherever you go. 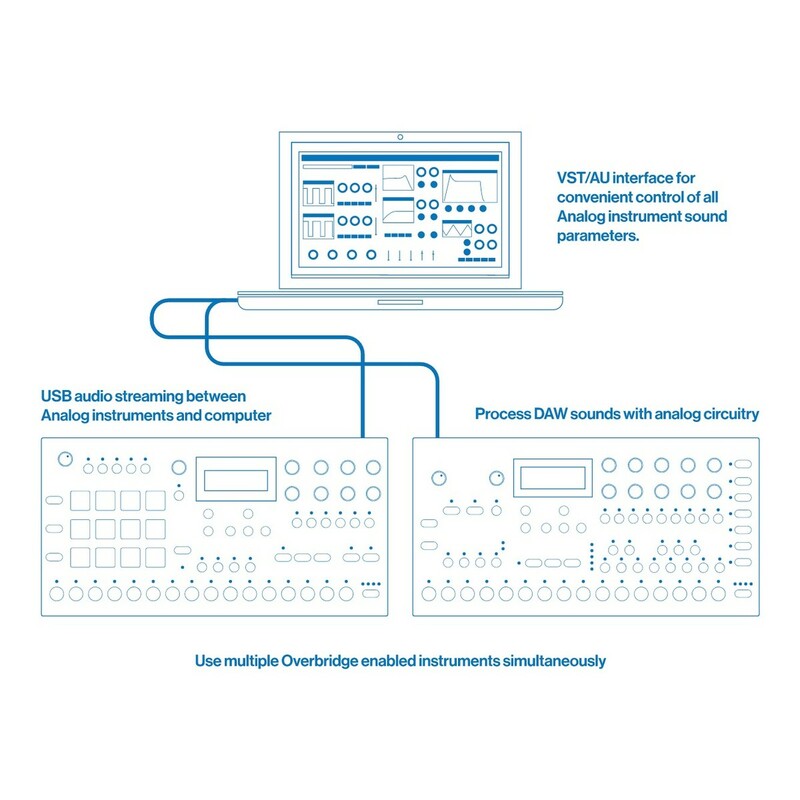 The drum machine also boasts USB 2.0 connectivity with support for Overbridge. It also features a range of added connectivity including MIDI, In, Out and Thru ports as well as a headphones outputs and dual 1/4-inch analog inputs for stereo connectivity.